FM-season 2009 started to me on 18th of May with very weak opening to Lyon-area, France. The real job starts within next 1-2 week. New feature for this season is "sensational" FM-receiver Sony XDR-F1HD (more). It is interesting to compare this device to elder receivers. I have two new Sonys side by side (Click the photo). 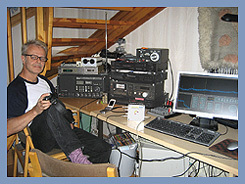 Later this summer I will go to Utö-island again for FM-DXing for 9 days with 5 other DX-ers. 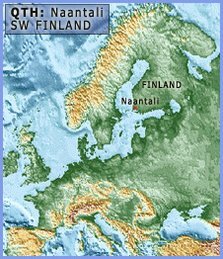 First time this big group is joining in FM-pedition! 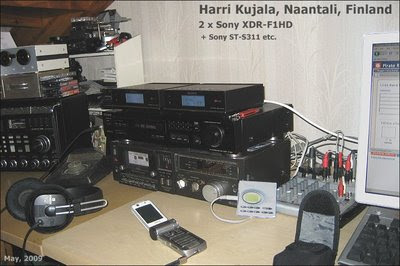 Utö-FM-DX-blog will be updated during the pedition.